It's nothing special and quite simple, but it was a fun thing to do. I'm quite new to PD, so I probably did a lot of things horribly "wrong", but the patch was a lot of fun to make in the background nonthless. 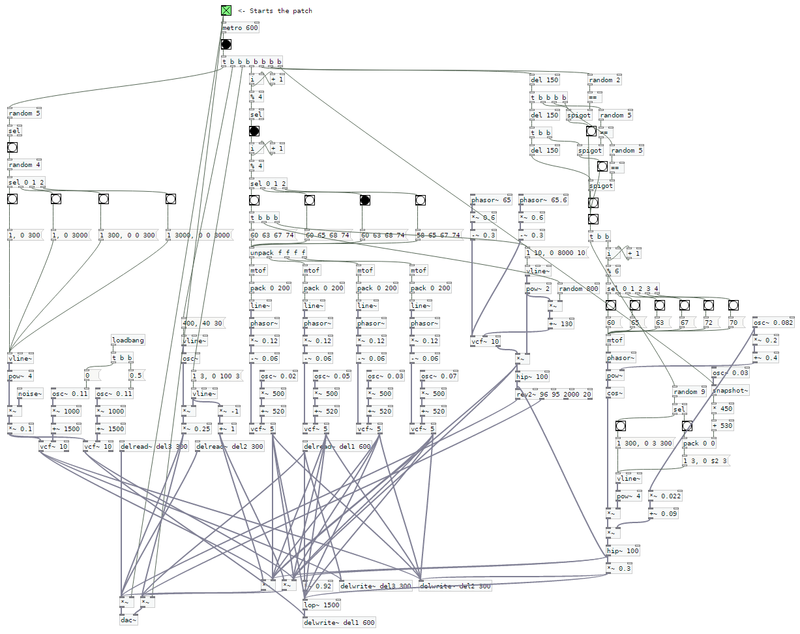 I made the whole thing in Purr Data, but I didn't use any externals, so it runs perfectly fine in Vanilla PD. sounds very nice!! do you mind sharing the patch? i like the music, too (and the concept). @Johnny Mauser the patch is already at the top of @Delta Signs post. Yeah, the download is already in the post. I probably should have made that more visible. Sorry for that. I'm glad you guys like the patch! It's really nothing special compared to the amazing things people are doing with PD, but it was fun to make! @cedeo Thanks! I'm glad people seem to like it! Thanks for share!!! I like it too!! !